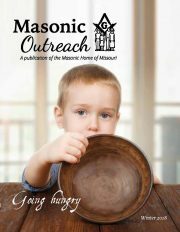 The Masonic Home of Missouri greatly values the generosity and partnerships of our individual donors and corporate partners. Whether you give a designated gift or a general contribution, your support helps provide much needed assistance to our Masonic Family in need across the state. The Masonic Home of Missouri is a not-for-profit organization under Section 501(c)(3) of the United States Tax Code.